The Centaur and the Cromwell are closely related. In fact, both were derived from the Cavalier, the A24 Cruiser Mark VII. The A27L was at first named “Cromwell II” but was afterward renamed to Centaur. Its origin can be traced back to the common specifications for a replacement of the Crusader, issued in late 1940. Designs were submitted in 1941 and production of the Cavalier was scheduled for 1942. 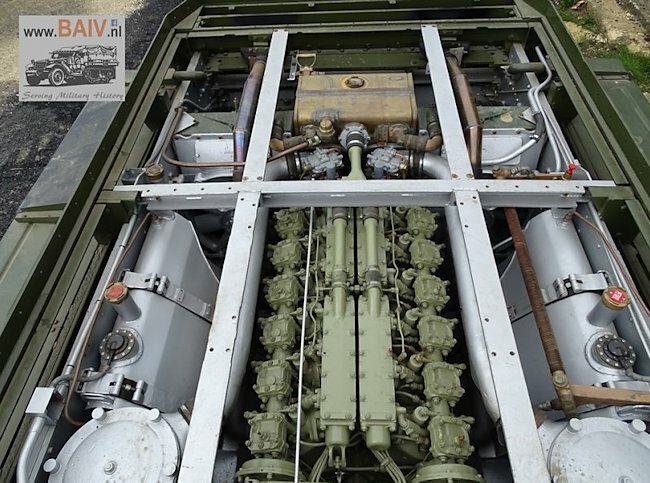 However, the troublesome Nuffield Liberty engine had proven its limited power, limiting the upgrades in armor and armament needed by the new generation of cruisers. Eventually, the choice of a suitable engine was the reason that split the new Cruiser program in three, according to their powerplant manufacturers. 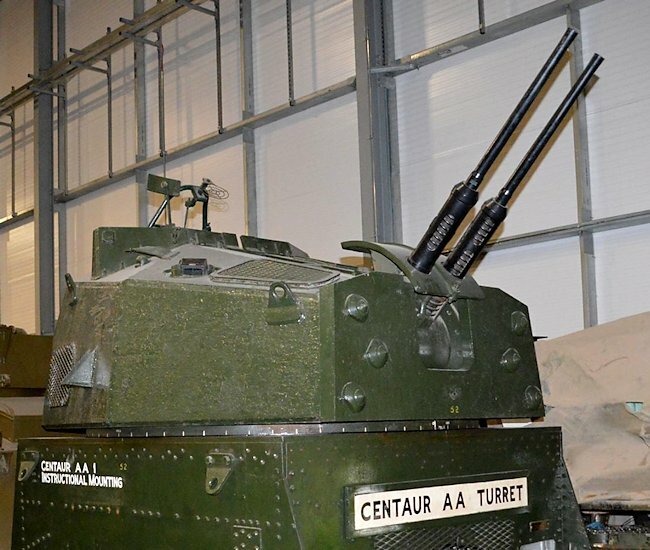 This development took time, and while the Cavalier was the first ready, based on the existing Nuffield Liberty engine, the Centaur was the second delivered. Leyland and Birmingham Railway Carriage & Wagon (BRC&W) were chosen for the A27 program, according to the General Staff’s second specification. However, development took time, mostly to design a turret suitable for a 6-pdr gun, and the Crusaders were upgraded in the meantime. In January 1942, Rolls-Royce and Leyland/BRC&W each produced a prototype equipped with the 600 hp Meteor engine based on the famous Rolls-Royce Merlin engine. Mobility was excellent but, unfortunately, cooling and manufacturing problems soon erupted. As a result, Leyland proposed an intermediary solution with its A27 design re-equipped with a redesigned Nuffield Liberty engine, that could be delivered sooner, in November 1942. This became the A27L (“L” for “Liberty”) Centaur. Although the three cruisers are difficult to tell apart visually at first glance, many details allow the Cavalier to be distinguished from the other two. In common, all three are based on the Crusader, sharing many parts. The hull is low and with many flat surfaces, with riveted and welded cold steel RHA plates, including the front hull and sides. The large rear deck had to accommodate the engine. The suspension consisted of six unevenly spaced large rubber-clad roadwheels per side, rear drive sprockets and front idlers. Large storage boxes added some form of layered protection on each side of the fighting compartment. The turret was hexagonal, with a flat front face protecting the internal mantlet, and two small 2-piece roof hatches side by side, for the loader and commander. Protection ranged from 63 mm (2.48 in) on the hull and turret front, 57 mm (2.24 in) nose, 25/29+14 mm (0.98/1.14+0.55 in) hull sides, 51+13/44+13 mm (2+0.51/1.73+0.51 in) turret sides & rear, to 20 mm (0.79 in) for the turret top and rear, engine deck and belly. For the Mark III, this protection was increased to 76 mm (3 in), in one piece, for the turret front and hull front. The turret sides were also 63 mm (2.48 in) in one piece, with 57 mm (2.24 in) for the rear. Both the main 57 mm (2.24 in) main gun and the coaxial Besa machine-gun were attached to the mantlet. There was another machine-gun in the hull, fired through a wire by the driver. The main gun was the Royal Ordnance Quick Firing 6-pounder Mark I (57 mm/2.24 in), with 64 rounds in store. Although very potent in 1942, especially compared to the puny 2-pdr (40 mm/1.57 in), by 1944 it was obsolete against the up-armored Panzer IV, Panther, Tiger and most recent tank-hunters. The Nuffield Liberty V-12 delivered 395 hp at 1500 rpm, for a power/weight ratio of 14.1 hp/ton, and was served by a Merrit-Brown 5 forward, 1 reverse gearbox. Fuel capacity was 527 + 136 (rear auxiliary tank) liters of gasoline. This allowed for a 266 mile (363 km) range on flat ground, a top speed of 45 km/h (28 mph) on road and 26 km/h (16 mph) off road. Field test performances showed it could climb a 25° gradient and 0.91 m vertical obstacle, cross a 2.36 m trench and ford 1.20 m deep river without preparation. The differences, compared to the Cavalier, were the rear engine compartment extension for the extra exhaust, tailored for the Meteor engine, cast bulges on the turret base, the ventilation cap on the engine deck, behind the turret, and the usual absence of the two front storage boxes. The Cromwell was almost identical. Due to numerous conversions and variants, exact production figures are tricky to establish. According to most sources, 950 Centaurs were produced in all, of all versions. Others state production values of 1059 for the Mark I alone. The explanation is some of the vehicles were built with Meteor engines and Centaur hulls, and sources place them either as Centaurs or Cromwells. Some of them were converted as Centaur IIIs, IVs or for other specialized uses. 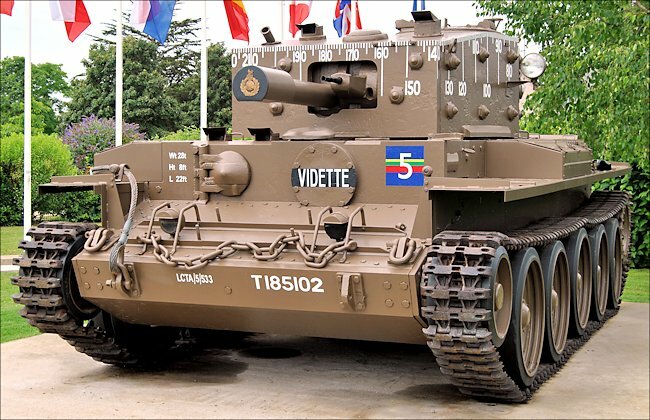 The 75 mm (2.95 in) armed late Centaur IIIs were later renamed Cromwell IVs, despite keeping their original engine. The base version armed with the ROQF (Royal Ordinance Quick Firing) 6 pounder (57 mm/2.24 in) and 64 rounds of ammunition, used only for training. This experimental version tried a hull without machine gun and wider tracks. Not produced. A production version armed with the 75 mm (2.95 in) ROQF Mk V gun. In 1943, some 223 Mark Is were converted to this standard. CS (Close Support) version armed with a 95 mm (3.74 in) howitzer (51 HE rounds in store). It was in service with the Royal Marines Armoured Support Group and converted as “Hobbart’s funnies” with wading gear to get them ashore. Engine inlets and gun covers prevented any flooding. 114 were produced and soldiered on from D-Day to V-Day. 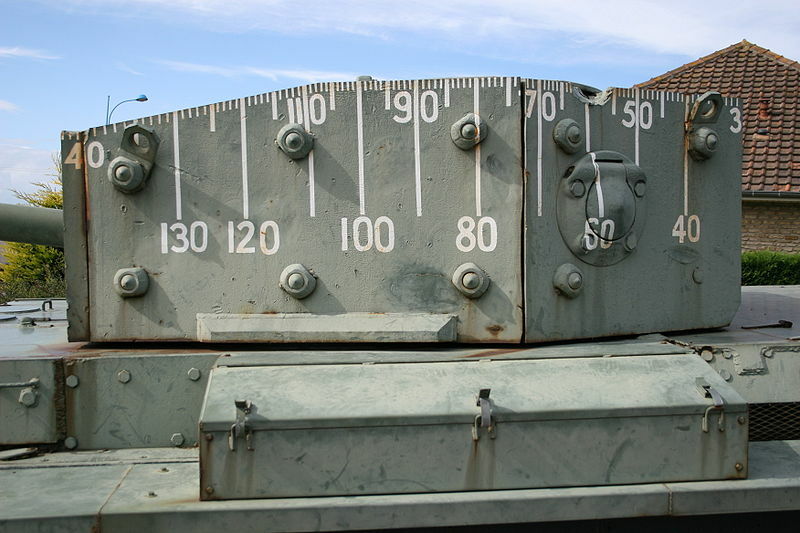 The armor thickness on the front of the turret was 2.5 inches (63.5 mm). On the side and rear of the turret it was 2 inches (50.8 mm) thick. The vertical armor on the upper hull was 2.5 inches (63.5 mm) thick. Two versions of this anti-aircraft variant were built. The first was equipped with a Crusader III, Anti-Aircraft Mk II turret with two 20 mm (0.79 in) Polsten guns for anti-aircraft support on D-Day. 95 were built, later called Mark I. The Mark II AA used the Crusader III, AA Mk III turret. 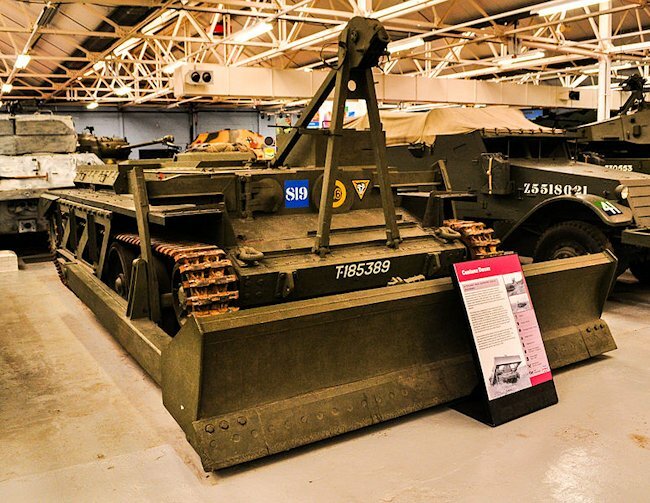 Also part of the “Hobart’s Funnies”, they were turretless versions fitted with a simple dozer blade operated by a winch. The winch passed over the top of the hull and was operated through hydraulic power. 250 of these were built. It was 7.18 m (25’7″) long, 3.41 m (11’2″) wide and 2.54 m (8’4″) high. 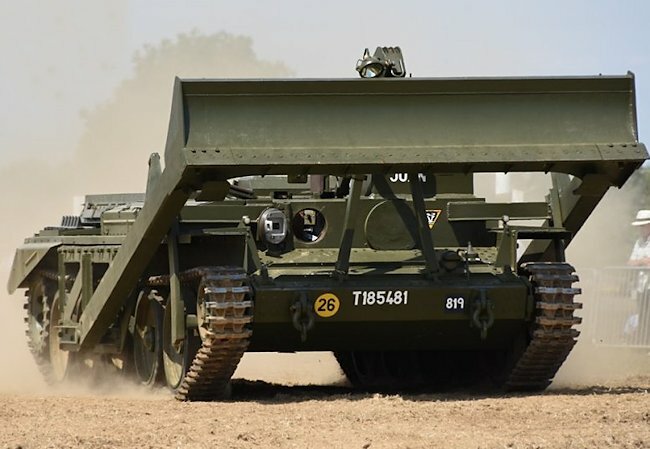 This is one of the Royal Engineer’s armored recovery vehicle, fitted with a dozer blade, turretless, with an optional A-frame. The observation post variant, fitted with a dummy main gun and extra radio communication equipment. A turretless APC conversion. Obtained either from regular, specialized or more likely recovered Centaurs (turret damaged or destroyed). 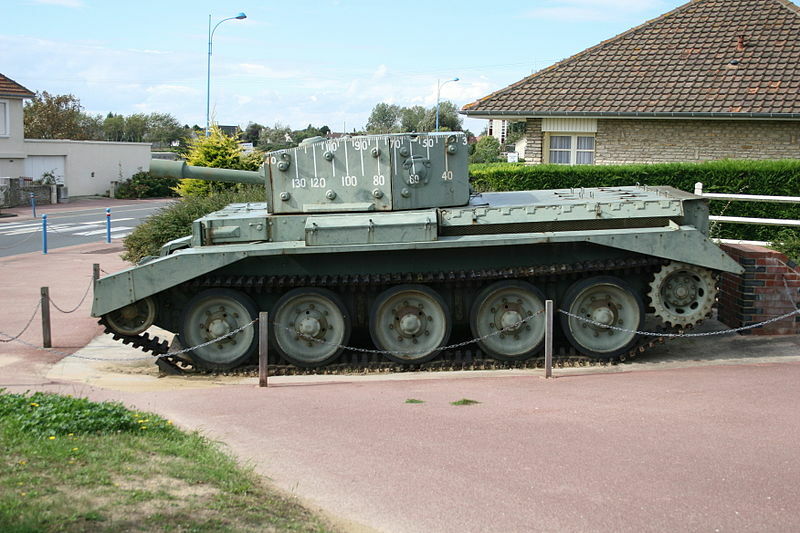 A few were so converted for at least two operations in Normandy. Centaur Mark I, Great Britain, December 1942. Centaur Mark III, training unit in Great Britain, mid-1943. Polish Centaur III of the 14th Jalzowiecki Lancers Regiment, 16th Independent Armored Brigade, in a training unit in Great Britain, May 1944. Centaur IV CS (Close Support), Normandy, summer 1944. 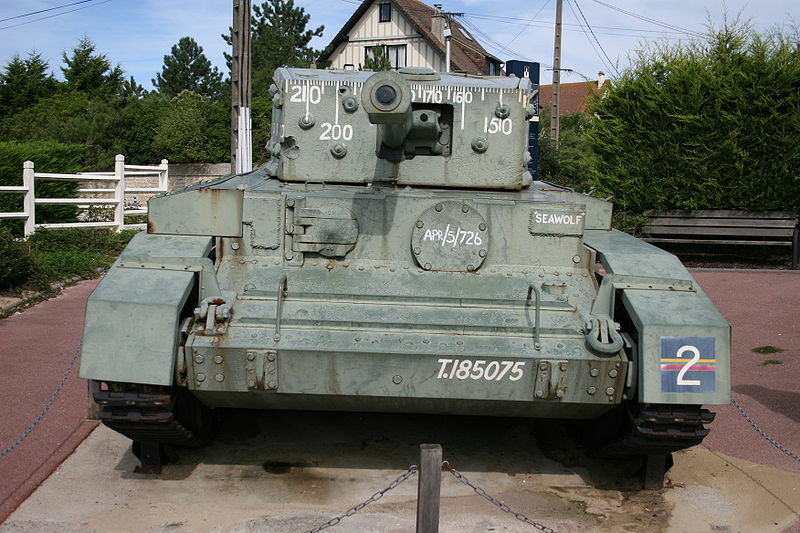 Camouflaged Centaur IV CS, as preserved at the Saumur tank museum. Centaur Mark I AA, Normandy, July 1944. 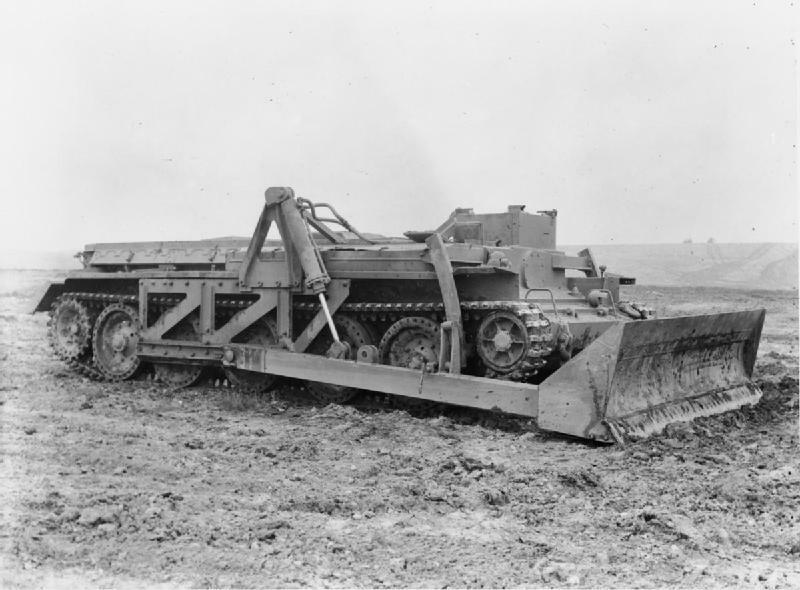 Centaur ARV Dozer of the Royal Engineers, summer 1944. The Centaur was used for training, and only the specialized versions saw active service on the front line. 95 mm (3.74 in) howitzer CS versions, if few in numbers, were part of the Royal Marine Armoured Support Group on D-Day. Many other specialist vehicles rendered services to the Royal Engineers, like the combat engineering vehicles and the dozers. Also in active service was the OP (observation posts) version. They participated in the whole North European campaign, from the Normandy beaches to Northwestern Germany in April-May 1945. Contrary to the Sherman, they had a low silhouette and were faster. But they also shared the relatively cramped interior and small hatches of the Cromwell. 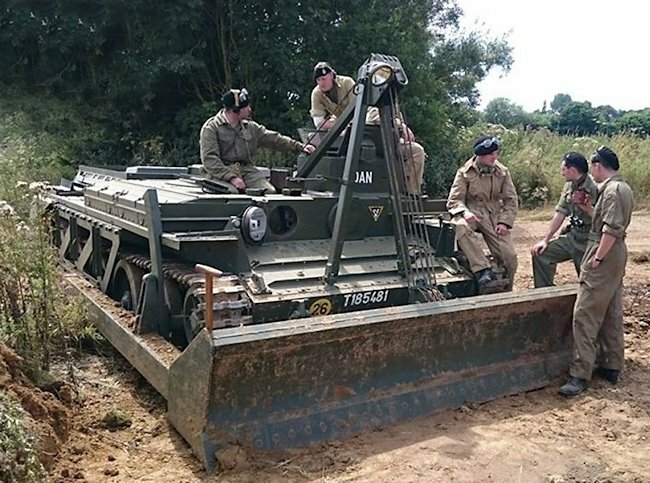 Surviving vehicles can be seen today at Bovington (dozer), two in Normandy, one at Benouville near Pegasus Bridge and one at La Brèche d’Hermanville. One of the 52 Centaurs sold to Greece (1946) has also survived and can be seen at the Tank Museum, Greek Army Armored Training Center at Avlona near Athens. The 360° North marker was painted at the rear and the 180° marker that indicated South, was at the front.